We next spent two nights at The Sofitel Dubai The Palm Resort & Spa, a luxury 5-star hotel located on the Palm Jumeirah Island. 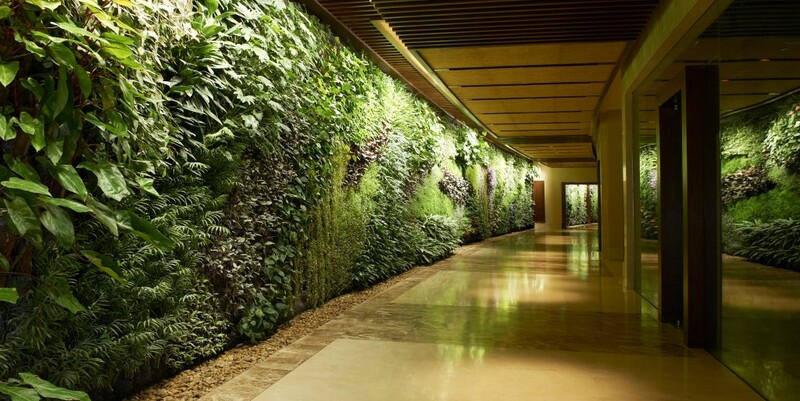 Decorated in a Polynesian tropical theme, The Palm Resort has lush vertical garden walls, and its low-rise perspective creates an oasis of calm and tranquility. The resort only recently opened in July 2013 and has been finished to the highest order. We were spoilt for choice when it came time to chillaxing by the pool. 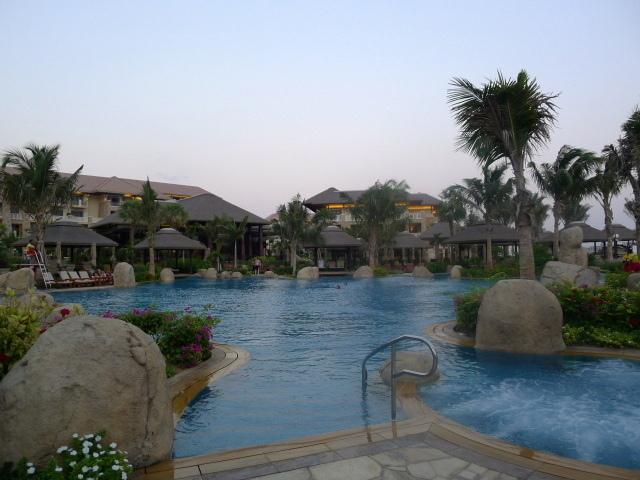 The Sofitel Dubai Palm has five outdoor pools gracefully positioned throughout the resort. For a bit more of a lively atmosphere, we decided to perch ourselves at the spectacular main pool. And even though this was the main pool, it was so well laid out and spacious that at no time did we feel like we were crushed under the weight of other guests. The resort’s four other outdoor pools offered a slightly more secluded experience, perfect for those seeking some peace and quiet. In addition, there was a private beach with wonderful views of The Palm and Burj Al Arab, and water recreational activities could be organised through the resort. 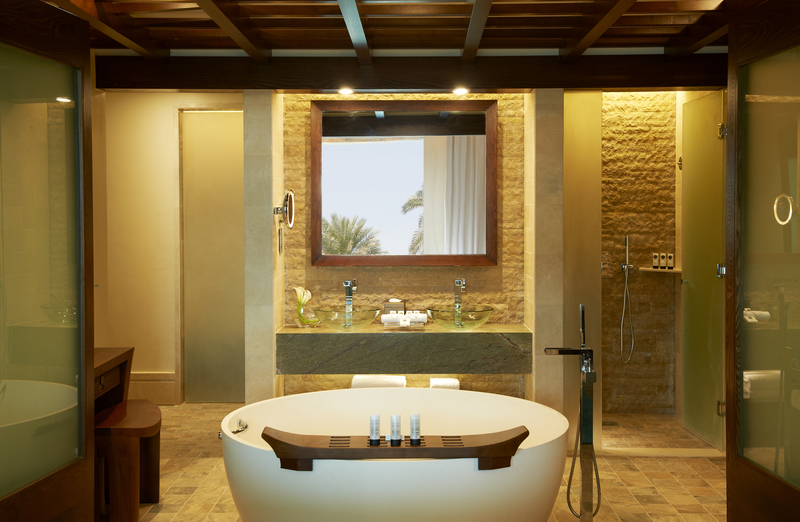 Sofitel Dubai The Palm Resort & Spa has a variety of room categories ranging from luxury rooms to four bedroom suites, to luxury villas with their own rooftop terrace and private pool. Taking a sneak peak into one of the villas, I was amazed at its size. There was also a range of one, two and three bedroom apartment options with a kitchenette and lounge area. My one bedroom apartment was gorgeous with the most magnificent bathtub that I have ever laid my eyes on. Circular in shape, it was big enough to fit four people. But it was also a struggle to fill, especially as there were problems with the hot water during our two-day stay. Nevertheless the apartment was nothing but comfortable with his-and-her sinks, two separate toilets, a rain shower and Sofitel’s incredible trademark ‘MyBed’, a magnificent wide bed with an overlay mattress, an extra light down duvet and fine Egyptian cotton sheets that allowed you to simply ‘sink’ in comfort. The resort was well kitted with playrooms for the kids. 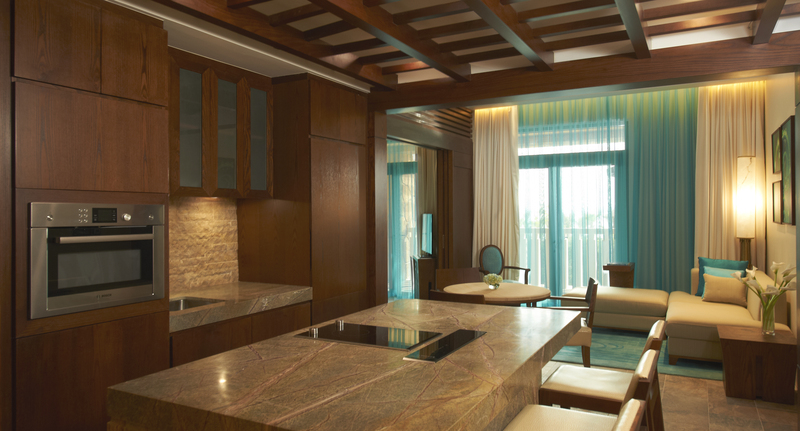 And for the adults, there was Sofitel’s state-of-the-art So Spa, which included beautiful treatment rooms, a sauna, a steam room, and four outdoor cabanas dedicated to providing spa treatments. There was also a fresh water pool and separate his and her beauty salons. I tried the Thermal Volcanic Stone Massage (50 minutes, AED510 – about £85) that blended traditional massage techniques with the use of heated black basalt stones which created a deeply soothing experience. The treatment began with you dipping your feet in a mixture of peppermint (to refresh), coconut milk (to moisturise) and warm water. Luxury indeed! What’s more, my therapist was incredibly lovely. 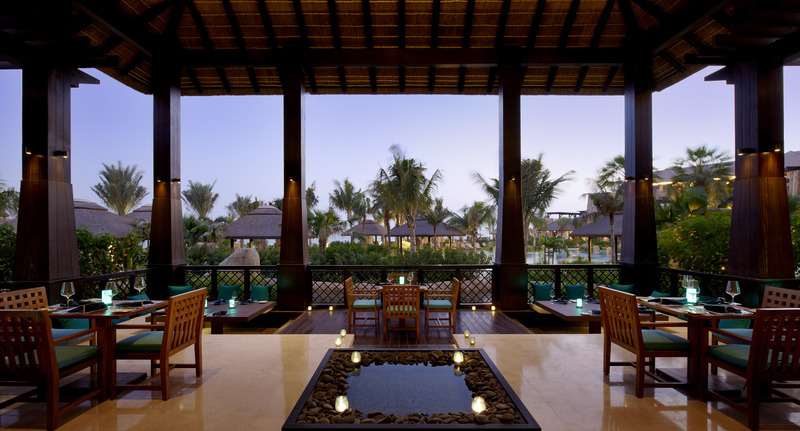 Moana is The Sofitel Palm’s seafood restaurant, one of many dining options at the resort. A comfortable restaurant decorated in warm brown tones, the restaurant also has a lovely terrace area overlooking the pool for a spot of alfresco dining. Lobster ‘nachos’ (AED95 – about £16) was a cleverly constructed dish of thin crispbread topped with a lusciously flavoursome roasted red tomato salsa and rich guacamole. Slivers of tasty lobster and a dollop of Boursin cheese made up the topping for what was a really yummy dish. 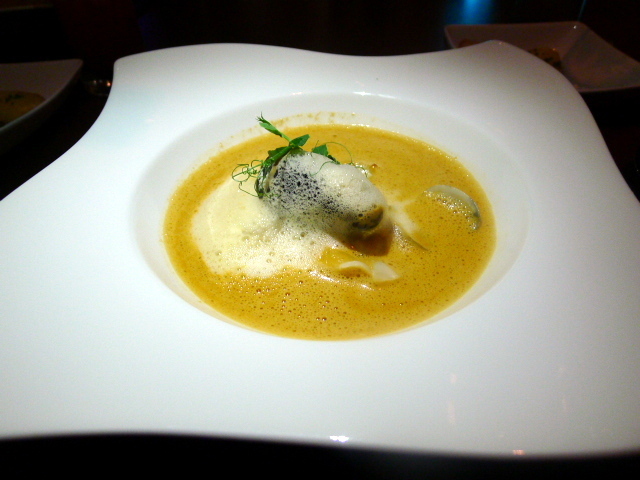 Prawn and lobster bisque (AED95 – about £16) boasted a lovely shellfish flavour. It was nicely done, and for a tastier finish, the bisque had been finished with a yummy grilled prawn, mussel and clam. 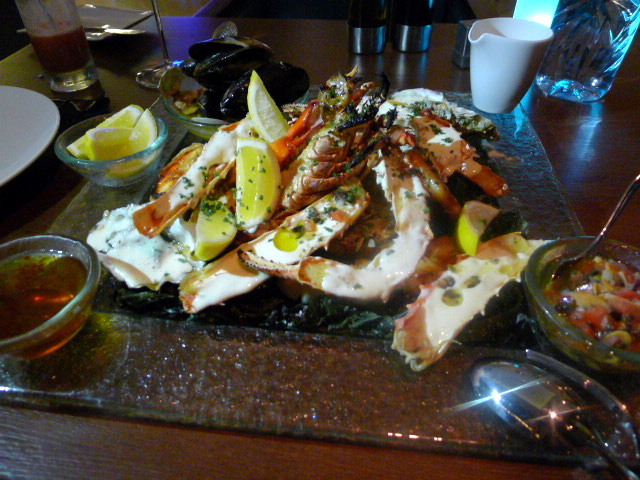 A chargrilled market seafood selection for two (AED825 – about £139.50) contained lobster, king prawns, red snapper, Alaskan king crab legs, baked oysters, mussels and clams, and was served with a choice of almond vierge, sweet chilli and lemon butter sauces. 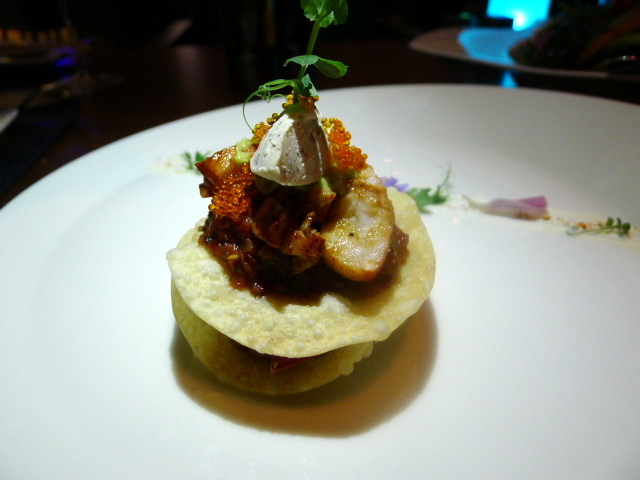 It was one of the signature options at Moana and was tasty if a little pricey. All the seafood was fresh, with the lobster and prawns being particularly delicious and well cooked. But the crab was a little overdone, and the fish a bit dry. 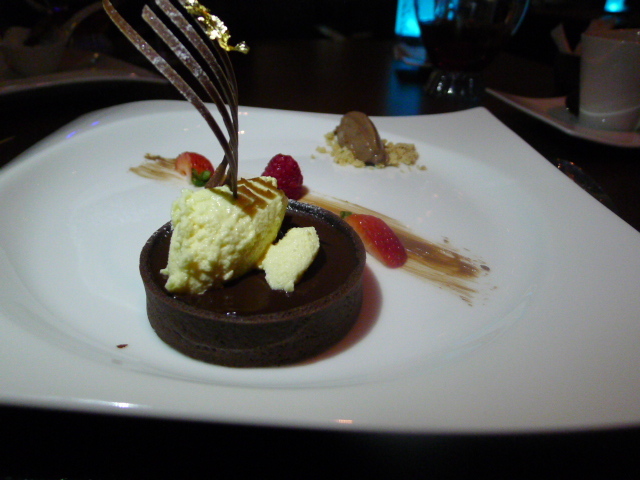 A ‘passion passion’ dessert (AED45 – about £7.60) consisted of a rich and gooey chocolate tart served in a chocolate sweet pastry. The pastry was good but could have been crispier. Accompanying the dessert was a creamy salted chocolate ganache and passion fruit candy. All the elements of the dessert were tasty, but more acidity on the plate would have worked better to cut through the richness. 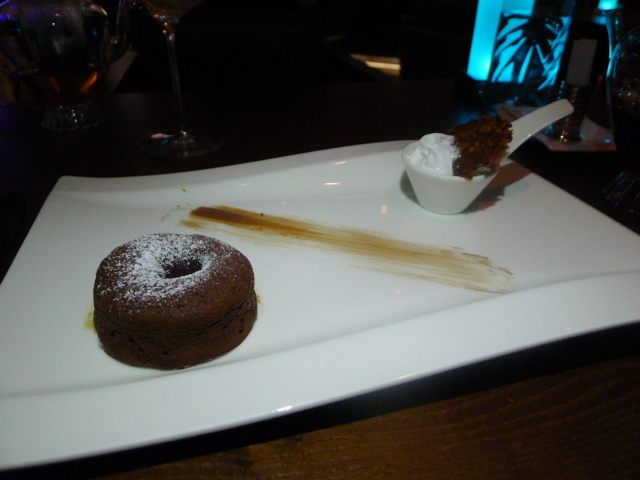 A spicy chocolate fondant with espelette pepper (AED45 – about £7.60) gave way to a well-judged kick from the pepper. The fondant was tasty, but a runnier finish would have been more appealling. The accompanying cocoa bitter tuile was also soft rather and should have been crunchy. Moana proved to be a solid dining experience. The service was excellent, superbly attentive and accommodating. We particularly enjoyed the starters, and in addition to the seafood platter, Moana offered a range of grilled dishes (including meat), sushi and sashimi, and seafood cooked in various styles such as Thai, Malaysian, Indian, etc. Breakfast was served at the resort’s all day dining restaurant, Manava, and is worth a mention as the variety offered in the buffet breakfast selection was impressively extensive and varied. Internet – Wifi is free. 4)	The incredible range of options served at the breakfast buffet. Dinner at Moana – 3 courses range from AED245 to AED580 (about £41 to £100). Prices are inclusive of tax and service, but exclude drinks.